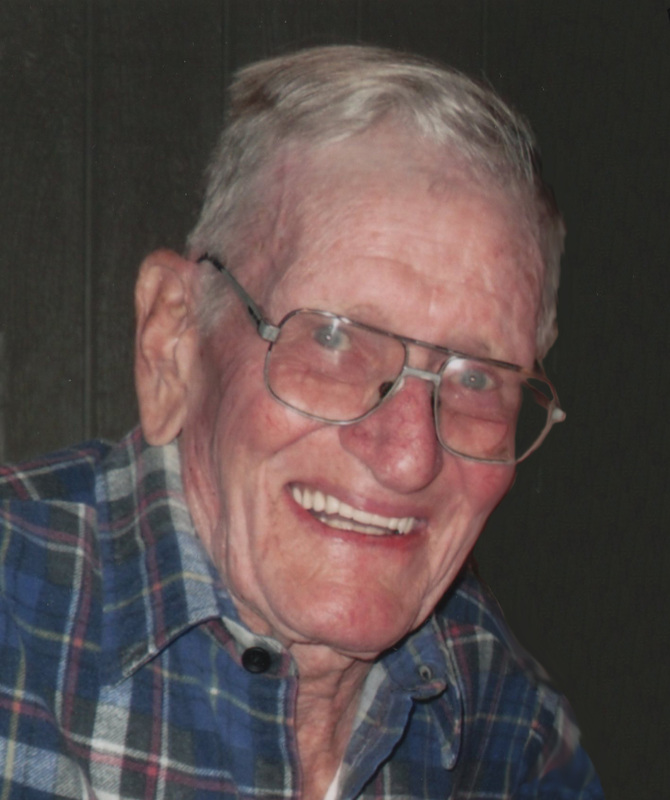 Philip S. “Buck” Buckmire, 95, of Taylorville passed away at 2:25a.m. on Tuesday, May 15, 2018 in his home. He was born on July 16, 1922 in Owaneco, the son of Loyd S. and Fern V. (Sturgeon) Buckmire. He married Constance E. Tomazic on November 21, 1950 in Pekin, Illinois. She preceded him in death on November 10, 2014. Philip grew up in rural Owaneco on the family farm, a place that he loved to spend time at throughout his life. He attended the Lawton Country School, Owaneco Grade School and High School, and graduated from Stonington High School in 1941. He worked for many years at Continental Grain in Taylorville, where he retired as a supervisor. He had previously worked at Caterpillar in Peoria. Agriculture was his passion and he farmed most of his life. Buck was an avid bowler, playing on many leagues over the years. He also loved playing croquet and horseshoes at many family gatherings. Later in life, Connie and Buck enjoyed going out to lunch and taking long rides in the country, checking out the crops and wildlife during all the seasons. Above all, his family was most important to him, especially his grandchildren and great grandchildren. Philip is survived by his twin daughters: Sharon Lee Jamison (Mike) and Karen Lynn DeMichael (Mike) both of Taylorville; son: Bruce Buckmire (Shelia Wareham) of Owaneco; grandchildren: Brent DeMichael (Stacey) of Kincaid, Shaun Vincent of Decatur, Susie McClure (Scott) of Taylorville and Michelle Jamison-Klein of Taylorville; great-grandchildren: Hudson DeMichael, Hayden DeMichael, Peyton DeMichael, and Brayden McClure; sister: Ardeth Buckmire of Champaign; niece: Dale Riaska of San Mateo, California; nephew: Roger McLean of Texas; and great-niece: Lee Riaska of San Mateo, California. He was preceded in death by his parents; wife; son: David Buckmire; sister: Vemba McLean; and brother: Loyd Dale Buckmire. The funeral service for Philip will be held at 5p.m. on Sunday, May 20, 2018 at McClure Funeral Home in Taylorville with Gary McCullough officiating. Visitation will be from 3 until 5p.m. on Sunday. Inurnment will take place at 10a.m. on Monday at Glen Haven Cemetery in Taylorville. Memorials may be made to MS: One Step at a Time. Memories of Buck, or condolences to his family, may be left online at www.mcclurefuneralhome.com.